Custom Chemical Manufacturing - What to Expect From the Best Manufacturers | InChem Corp.
Every chemical manufacturing facility has its core strengths and capabilities. When new product lines with different requirements come along, it can be difficult to quickly adjust those capabilities in order to meet the demands of your customers. Enhancing the capabilities of your plant can be costly, and time consuming. It can also strain various business functions like your technical, production, HSE, and quality departments. A solution that many of the top chemical manufacturers in the world have been using for years is to utilize the services of customer, contract, or toll manufacturers (tollers). There are many tollers located in the United States, and there is a high likelihood that you will be able to find one that has the technical capabilities that fit your needs very closely. 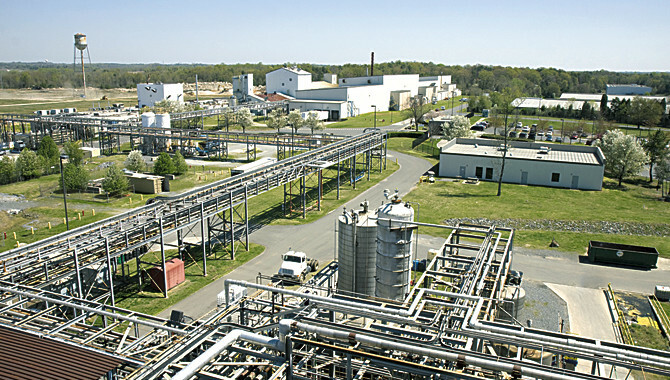 If you outsource to a top-tier custom chemical manufacturing company like InChem then the first step of the process will be to sign a non-disclosure agreement before you have a telephone conversation or sit-down with a team of professionals who will assess whether or not they posses the capability to provide a chemical manufacturing solution for your needs. Making sure that the potential service provider takes their responsibility to diligently protect your valuable intellectual property should be one of the first steps you take when shopping for tollers. Once the initial conversations have taken place there are a few things that you should require from your toll, customer, or contract manufacturer. A strong commitment to meeting or exceeding current best practices related to health, safety, and environmental stewardship. A strong commitment to maintaining the confidentiality of their customers’ intellectual property. A strong commitment to ‘right-first-time’ quality. A strong commitment to being transparent with their customers about how their products are handled. To learn more, use our online contact form or call InChem at 800-321-7721.